The implosion of Kingfisher at the turn of the twenty-first century lay behind the most radical changes in Woolworths' offer in more than ninety years of trading. A slow and painful separation process prompted the departure of more than half of the retailer's top brass, particularly after a new Chairman was hired from Railtrack and chose to bring in a friend as the new CEO over the heads of the established team. The new leaders embarked on a radical repositioning of the overall brand, giving pride of place to stationery and cards, which was reincarnated as celebrations . Reversing Kingfisher's concerns about price competitiveness in the 1990s, the strategy brought a further move up-market as part of a style makeover, that re-oriented the offer to children and young families. Elements of the Eighties makeover were taken much further, with a broader range of character brands, and a more stylish range at higher prices. Initial results were encouraging, with the range proving a hit with the target clientele. 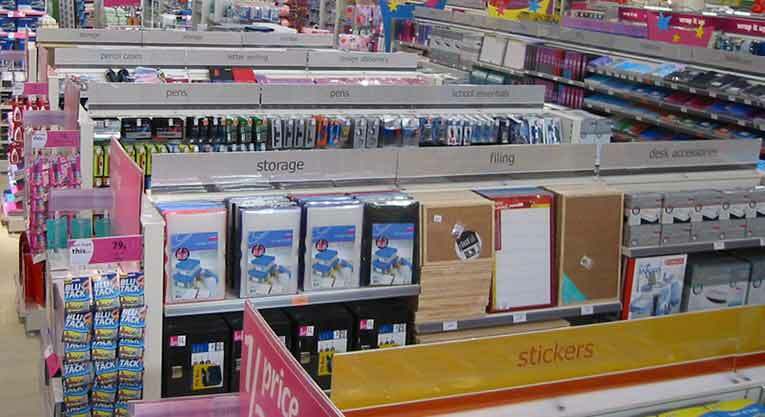 However an increasing number of older people moved to shop elsewhere as discounters stepped in to take up the slack on simple basic lines like writing paper, photo albums and cheap pads and pens. The pattern was repeated across the store, with disastrous results. Woolworths went into the third millennium as part of the Kingfisher Group, making around £100m a year in profit. The firm had a number of strategic initiatives underway, with the focus on enlarging the range for huge out-of-town superstores and exploiting the potential of the Internet at the height of the web revolution. The stationery and cards range which Kingfisher had architected in the mid 1980s continued to be a mainstay of the offer. At Braehead, Scotland they had pioneered a new value initiative, with lower prices on a value range which was delivering very encouraging results. 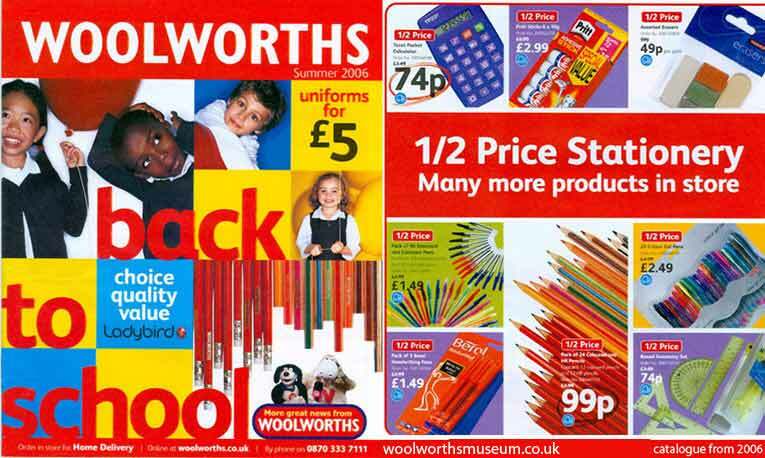 During the 1990s supermarkets and discounters started to encroach into some of Woolworths' key markets. They poached Buyers and experienced Store Managers. This damaged some basic disciplines, and prompted an initiative in 2000 to restore standards and improve display. 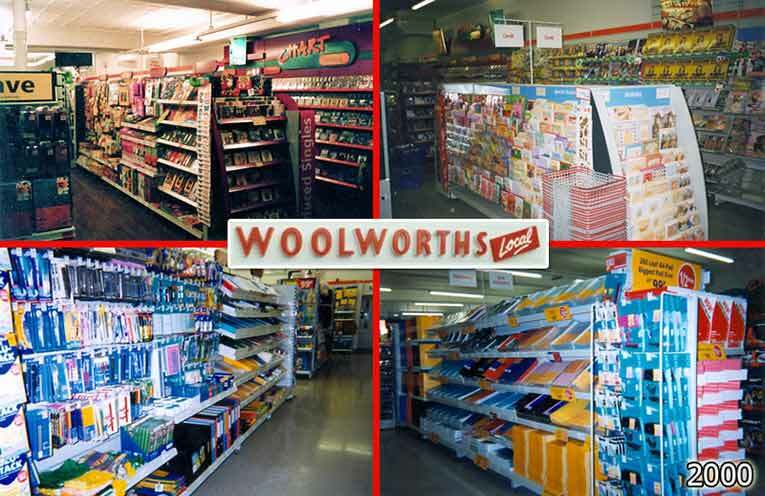 In parallel Kingfisher launched a series of initiatives to update the Woolworths formula, including a new out-of-town chain, Big W. This gave space for the stationery range to be extended and prompted a reappraisal of the range. The review highlighted lifestyle changes. Fewer people wrote letters or used a fountain pen, but many more homes had computers, colour printers and even fully-fledged offices which people worked from. 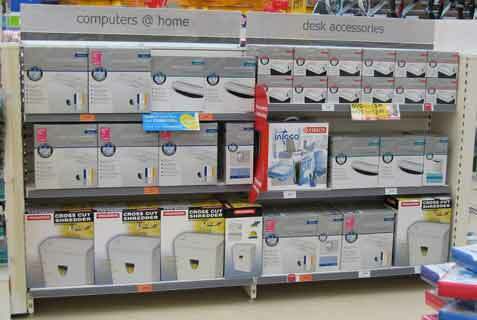 New lines like A4 paper and printer cartridges were added to the range. Work was interrupted by investor disquiet at Kingfisher. This led to the decision to break-up of the Group. When Woolworths demerged it hired a new CEO from Curry's, who evangelised a radical strategy. Trevor Bish-Jones argued that the chain needed to differentiate itself from competitors, targeting a specific group of shoppers and serving them well. He named the new strategy 'Kids and Celebrations'. He wanted Woolworths to become the store of choice for mums and their young families. More space was given to Toys, Ladybird Clothing and Stationery. 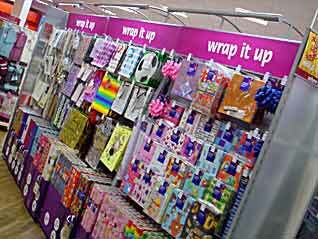 A key element was a bigger selection of Cards and Wrapping Paper, displayed on highly distinctive tall illuminated fixtures. Many of the cards were from luxury ranges and were sold at full recommended price. The goal of the move up-market was to make more profit on each item sold. The Buying Team, led by Commercial Director Jo Hall, excelled. They built modern, innovative ranges for the home office, sourcing items like shredders and laminators in the Far East which could be sold at jaw-drop prices while delivering a good margin. Pens, accessories and stationery were targeted at style conscious shoppers. It outshone the supermarkets as sales rocketed. But the strategy to increase 'basis margin points' left the door open for discounters and pound shops to undercut Woolworths on basic bread-and-butter lines. It also made it hard for the Buying Team to respond to aggressive price competition from the supermarkets, particularly at Back to School time. Jo Hall later moved to the Far East, as head of the Woolworths Group Asia Ltd sourcing office. She oversaw a major overhaul of the Kids Stationery range. Chad Valley Create products were designed in-house and taken from the drawing board into production in record time. The shake-up leveraged the chain's traditional strength in character brands. 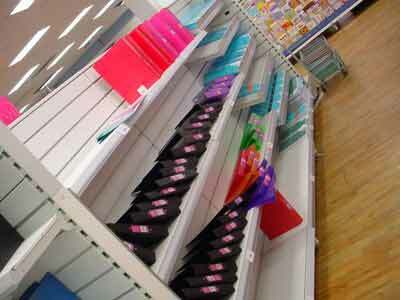 It built cohesive ranges across, nightwear, t-shirts, backpacks, lunchboxes and pens, pads and rulers. This helped to differentiate the offer. 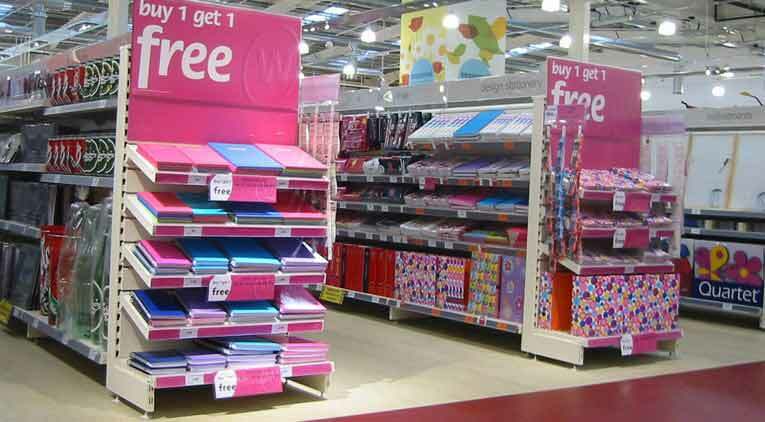 Increased competition led to major price erosion on traditionally profitable ranges like pens, paper and pads for Back To School, as the supermarkets contributed to over-supply in the market and opted to loss-lead these ranges to attract grocery purchases. During the same period more savvy retailers like Wilkinsons and the relaunched Partners and Rymans Chains followed the age-old 'pile it high and sell it cheap' approach that had once taken F.W. Woolworth to the top of the market. By the twenty-first century it seemed that the chain's only response was regular buy one get one free and 'three for two' promotions, which did little to address customer perception that Woolworths was no longer competitive. Finally, in 2005, a new Commercial MD, Tony Page, joined from Asda. He had the clout to challenge aspects of the CEO's strategy. Within weeks he devised a scheme to sell higher volumes at lower percentage margins, addressing the value gap. He sent the Stationery Buying Team on a hunt for basic products which could be sold cheaply to complement the more aspirational lines. WorthIt! proved a hit, driving the first increase in customer traffic for five years. Over an eighteen month period the value range grew from a hundred to more than a thousand lines around the store. But sadly the move came too late. 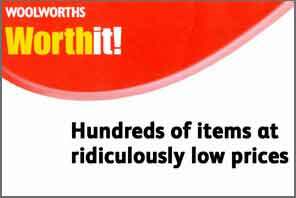 For the first time in 130 years on 7 January 2009 Woolworth stood quite literally stationary, before being re-born, albeit briefly on the Internet.